A Frisbee is a plastic disk about the size of a dinner plate thrown between players by a flip of the wrist. Frisbees have become a staple on college campuses, beaches and parks since its invention in the 1950s. Although tossing discs for play have been part of ancient Greek culture for ages, the craze hit the United States in the 1950s. It is debatable who first invented the Frisbee. 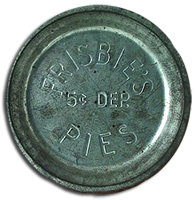 Legend has it that pie pans used at the Frisbie Baking Company in Bridgeport, Connecticut had been tossed around by employees since the late 1930’s. Workers, during their during breaks would toss the pans back and forth in different manners and the company reported apparently customers began doing the same as the company more than 5,000 pans were not returned by customers during the 1940’s. Others stories focus on a Yale University student named Elihu Frisbie helped to introduce pie pan flinging to the University campus. The game soon began appearing on other college campuses on the East Coast in the spring of 1957, especially popular amongst Ivy League schools. However, it was Walter Frederick Morrison (a building inspector) and his friend Warren Franscioni who in 1948 perfected the toy and created a company (Partners in Plastic) which patented it and began producing them. 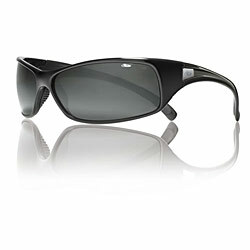 The initial prototypes were made of metal but the version the introduced to the public was made of smooth plastic. Taking advantage of the famous Roswell UFO sighting and the UFO hysteria which followed, they called the toy a “Flying Saucer” and began marketing it to a UFO obsessed public. In 1951, after initial sales slowed, Franscioni left the company and Morrison designed a new version of the toy that he called the “Pluto Platter” and sold for 59 cents. A few years later, Morrison gave a demonstration of the toy that was observed by the founders of the Wham-o Manufacturing Company. In 1957, Wham-o bought the rights to the toy and in 1959 re-christened it the Frisbee (in deference to the East Coast familiar term). With such a fun toy, the Frisbee faced numerous imitators, including the Scalo and the Space Saucer but none rivaled the success of the original. In addition to the fun provided by the toy, many users were amazed with its ability to travel great distances in a controlled manner and at various speeds. The scientific principle behind the toy was that the airfoil design would make use of the air currents as it moved through the air, while the spinning, gyro motion of the toy would help to provide stability during the flight. Thrown with a backhand flip, the toy could be thrown at great speeds and would often travel for up to 60 yards. Furthermore, with the proper spin, and thrown at the proper angle, the Frisbee could imitate a boomerang in returning to the thrower. The United States Navy was so impressed by the controlled flight offered by the toy that it experimented with its design and considered utilizing it for launching certain projectiles and flare devices (they abandoned the concept because of concern over weight issues). The Frisbee has become part of formal sporting events and international associations. In 1957, students at Princeton University began playing a dangerous game called Guts Frisbee where they through around a rusty circular saw blade. Eventually Guts Frisbee evolved into a game where a competitor would take a normal plastic Frisbee and attempt to throw it as hard as possible at another competitor, challenging him to be able to catch it. In 1972, a World Guts Frisbee Championship was held in Michigan, with competitors from around the world coming to take part. While Guts Frisbee gained a lot of attention, other games soon developed that caused wide-spread interest in expanding the toy into a competitive tool. Most well known of those were Frisbee Golf (where participants would move along a course attempting to throw the Frisbee as close to a goal in as few attempts as possible) and Ultimate Frisbee (which mimicked American football, with players passing the Frisbee from person to person until it reached the end zone, while the opposing team attempted to intercept it). In 1975, Wham-O started the World Frisbee Disc Championships which seemed to be akin to Olympic games for Frisbee players with distance throwing and catching, Frisbee Golf and dog catch competitions. Although originally overshadowed by the Hula Hoop in 1958, the Frisbee has maintained popular status though the past four decades with an estimated two hundred million sold.